Very very clean hostel with very new bathrooms. Very nice people who really want to help you. Laundry service was quick, good and cheap! Kitchen is clean all day and the hostel has a lot of social places to hang out. It's a 10 min walk to the restaurants and bars area, but never felt unsafe walking that part. Great hostel. Double rooms are great, clean, nice towels, warm showers. Staff is very helpfull and kind. The kitchen is equipped very good (love the sharp knifes). Laundry service is quite cheap and fast. A lot of places to hang out and meet other people. Only lacking thing was a hammock or something in the sun. Its a good clean hostel. About 10 minute walk from the Subway station. There was some construction going on in the hostel but nothing too bad. They have nice common areas and a 24/7 receptionist. The kitchen area is also very well equiped. Really nice hostel, clean, very helpful staff. You can book tours which is nice. Also a good hostel for meeting people. If it’s loud in the public area you can’t hear it in the room. Rooms are clean, spaceful, mine did smell a little bit but it’s not too bad. Only con is that the showers are cold. Would stay there again though! Top hostel, rustige locatie, vriendelijk personeel, ruime kamers met badkamers, goede sfeer! Great hostel with an amazing vibe! Had a great time here. The showers were the best I've ever had during this trip. Location a bit out of the bars, but walking distance, felt OK at night walking alone. Too bad they were fully booked so I had to move. In terms of security it could be better, no wristbands, and they even let me in although I was not staying there anymore. They didn't ask who I was or what I did there. Still amazing place! 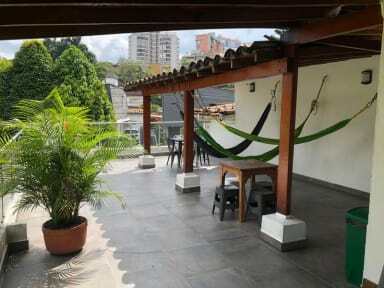 Its a very great hostel, best showers we've had in Colombia, very clean and walking distance form the metro station. We thought it was a party hostel but it definitely isnt. There isn't much going on in the area, no bars lr restaurants. 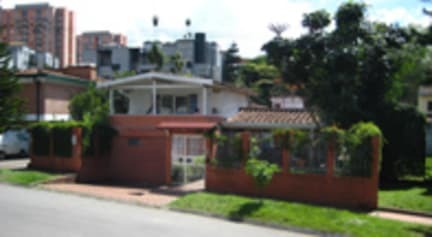 It's a 20 minute walk to El Poblado where all the restaurants and bars are. I enjoyed my stay (to relax and party!). But there are no spanish classes any more, which was the actual reason to stay here. Best aardig hostel. Onze kamer was ruim maar had maar 1 lichtje waardoor het meer op een grot leek ‘s avonds. De wijk is rustig en we voelden ons er veilig. Het is 10 minuten lopen naar metro en supermarkt. En 20 minuten lopen naar de leuke restaurants.